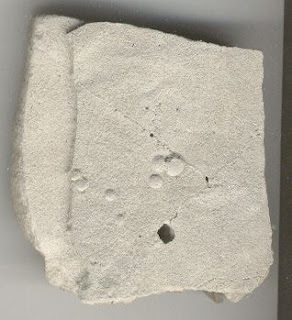 Main stream geologist interpret trace fossils in terms of what uniformitarian geology says such features should be, How after observing a concrete spill some time ago I found with in that concrete and below the surface what are often interpreted as fossil rain drops and fossil mud cracks. Here is a picture of features in concrete that if found in the fossil record would be interpreted as fossil rain drops. However they formed in the middle of a concrete spill. Here is a picture of features in concrete that if found in the fossil record would be interpreted as fossil mud cracks. However they formed in the middle of a concrete spill. 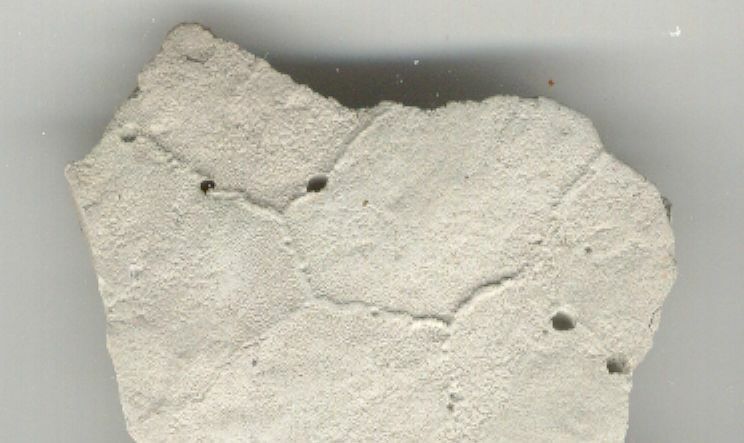 This shows that such features do not need to be formed at the surface since the features in the above peaces of concrete were not a result of surface features. As a result they are consistent with Flood Geology. So informative blog I will share your links to my friend. Keep posting! Why the Genesis Flood had to be a Global Flood. The Biblical age of the Earth. Historical documents verses other dating methods. Are dinosaurs mentioned in history?